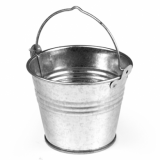 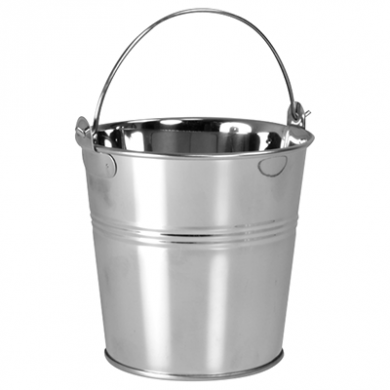 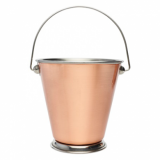 Small stainless steel presentation bucket. 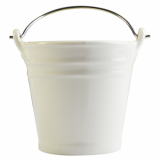 Great for serving appetisers and side dishes such as olives, fries, nuts etc. 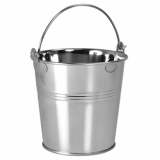 Dimensions: 7cm (H) x 5.5cm (Dia top) x 5cm (Dia base).